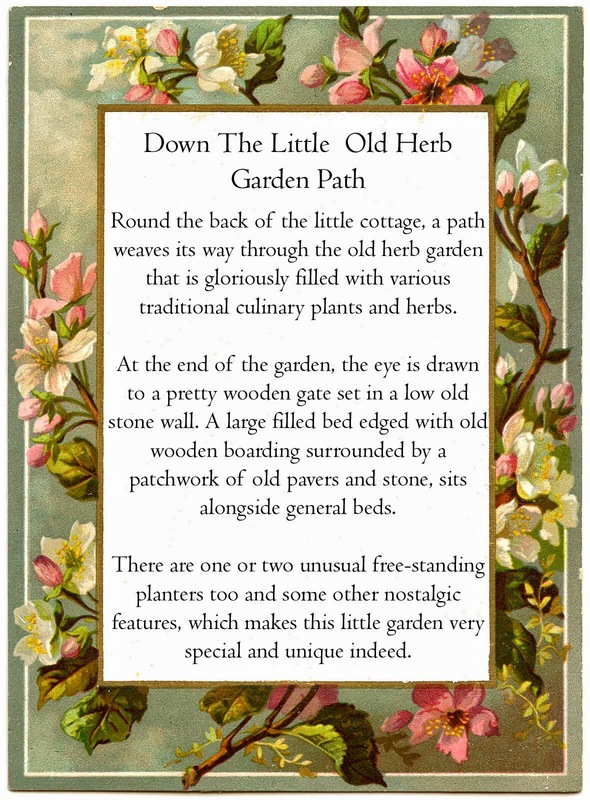 Nostalgia In Miniature Workshops: Spring Workshop Now Complete.....Already Preparing For Autumn Workshop! 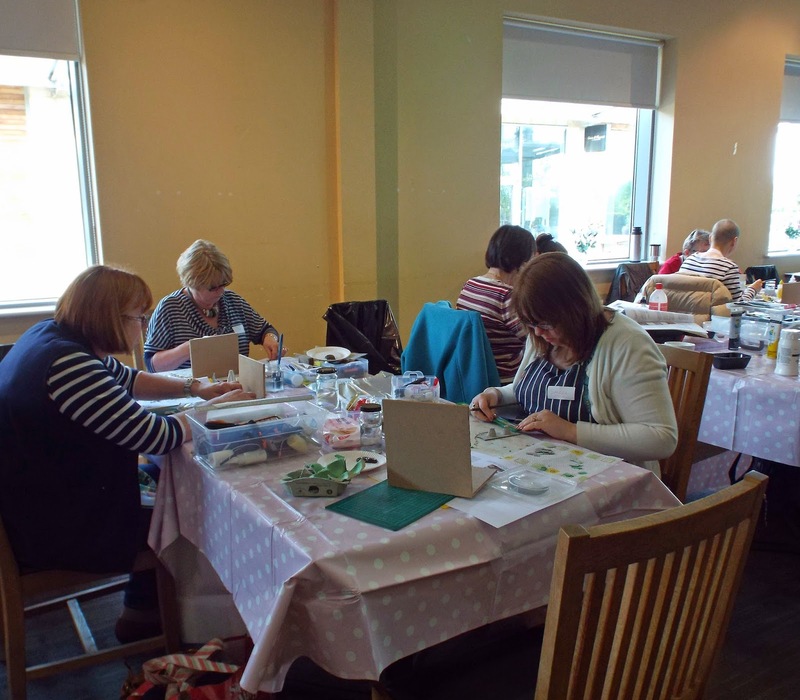 Spring Workshop Now Complete.....Already Preparing For Autumn Workshop! 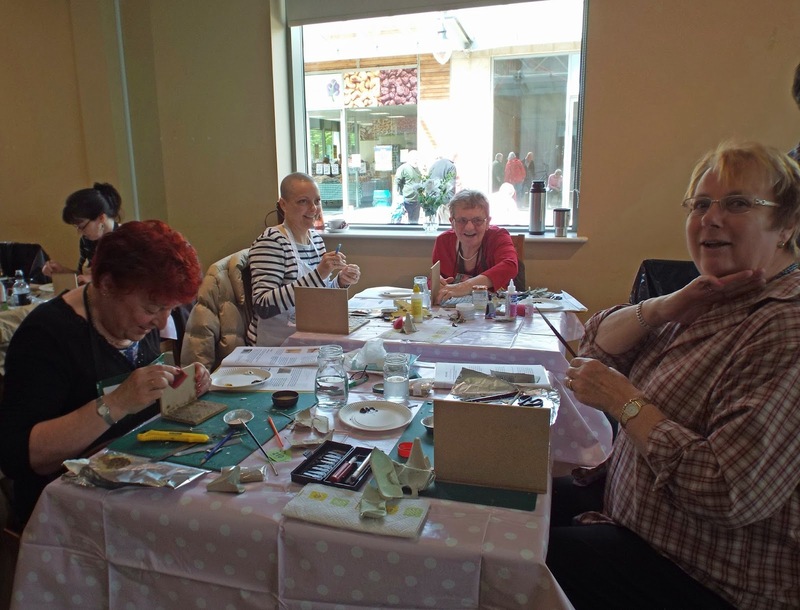 It was a lovely day....the brand new venue at Bicester Avenue Garden Centre was a great success and all the staff there were so helpful and friendly. 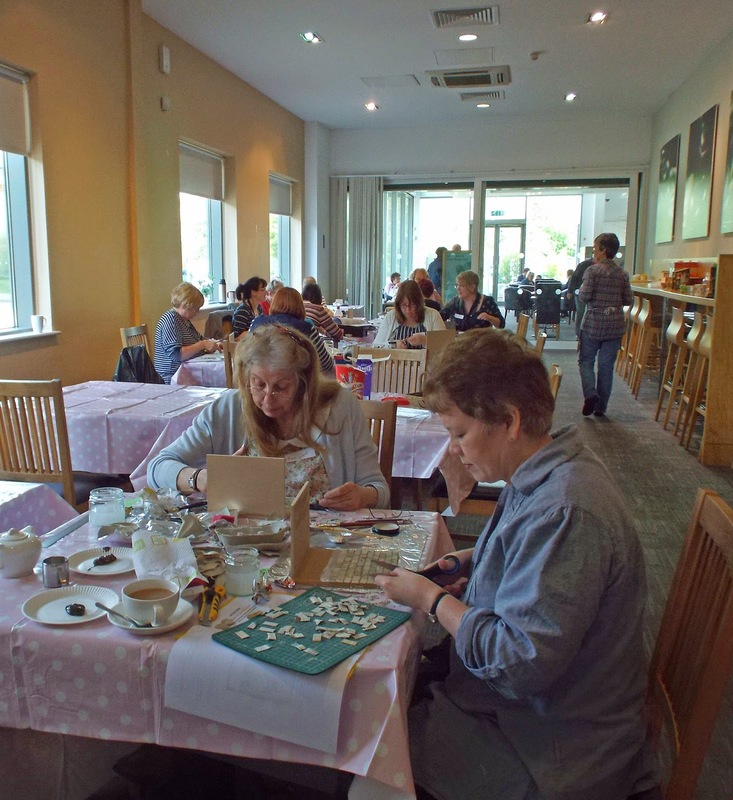 The room is so bright, airy and spacious....and so close to Junction 9 of the M40.....apparently our creativity that could be viewed through the glass wall and door caused quite a stir amongst users of the restaurant...we were told!!! The project was quite ambitious and everyone still had plenty of creativity to continue with once they got home. All attendees were armed with a booklet of instructions and numerous bits and bobs as part of their kits. 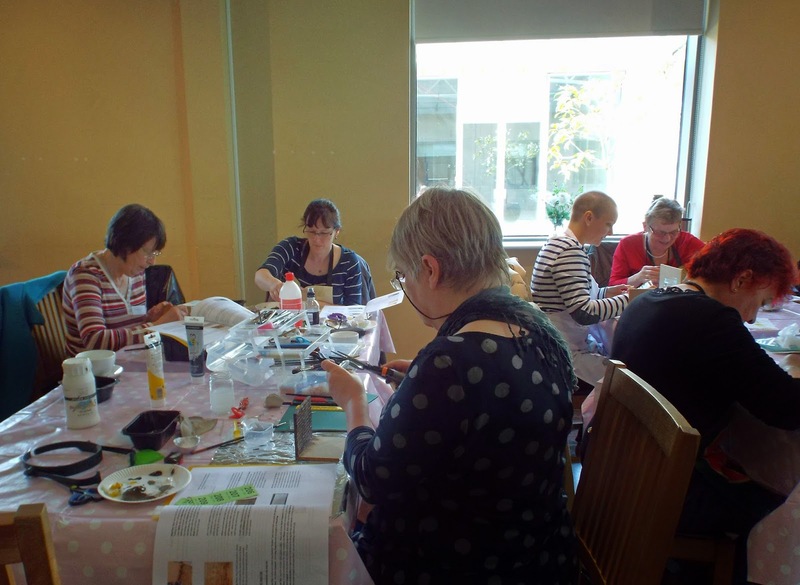 Lucie Roper, editor of Dolls House & Miniature Scene Magazine, joined us for the day and got stuck into the creative fun....we were very impressed! She said she actually enjoyed it too....hahaha! It was Robin's birthday too last Saturday, so sweeties and choccies were sneaked in unbeknown to Robin for everyone to share, courtesy of Celia. Robin looked suitably embarrassed when a round of "Happy Birthday" was sung to her.....(hey...didn't we all sing beautifully by the way)!!! Our raffle in aid of Breast Cancer Campaign raised a magnificent £41.00 on the day, with prizes purchased from the garden centre. THANK YOU LADIES FOR YOUR HUGE GENEROSITY!! Well, we hope you all enjoyed the day as much as we did. Visitors to the workshop on Saturday were privy to the grand unveiling of a project that we had both jointly been working on over several weeks for the Dolls House & Miniatures Scene magazine, as a "how to make" project that will appear in the August 2014 issue (comes out June 26th). It will also be exhibited at Thame Museum as part of their WW1 Centenary Exhibition that runs from beginning of May to August. But more about that another day....meanwhile, you can view a video of the completed scene. We recommend you put your speakers on and view it full screen...hope you like it!